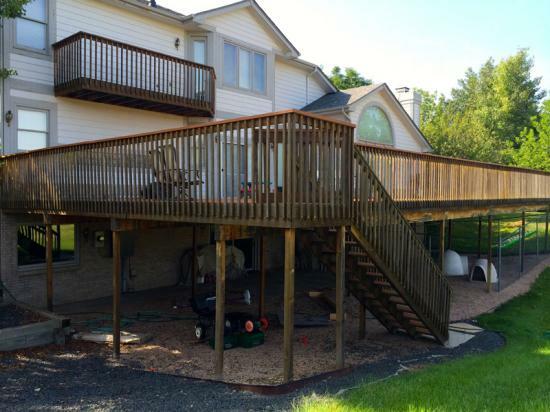 As the before photos illustrate, this deck was covered with mildew and algae and hadn’t been sealed in nearly eight years. 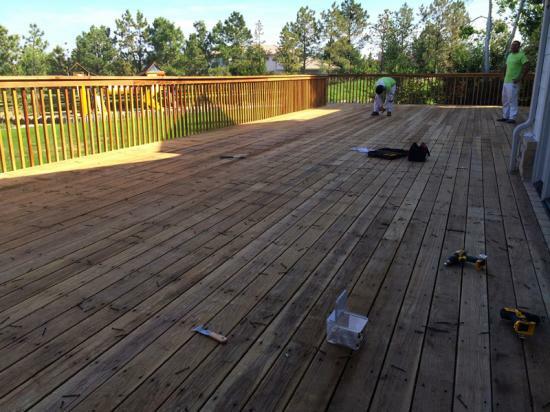 LIME’s preparation process consisted of sanding the entire deck, including railing spindles, caps, skirting, floors, and stairs. 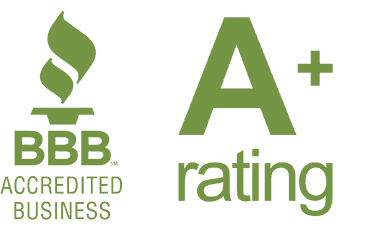 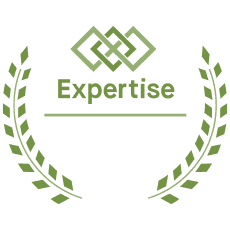 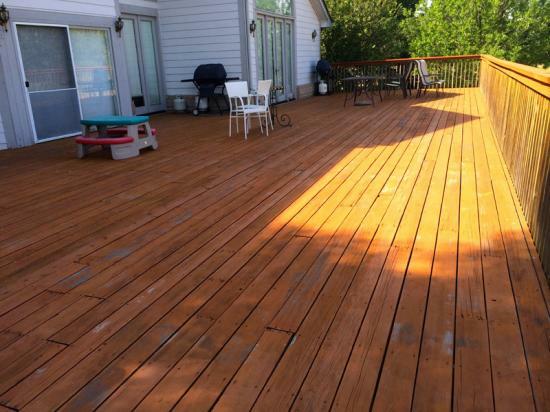 We sanded the deck to remove the discoloration (aesthetics) and loose particles (to promote maximum product penetration and adhesion) present in the mildew and algae. 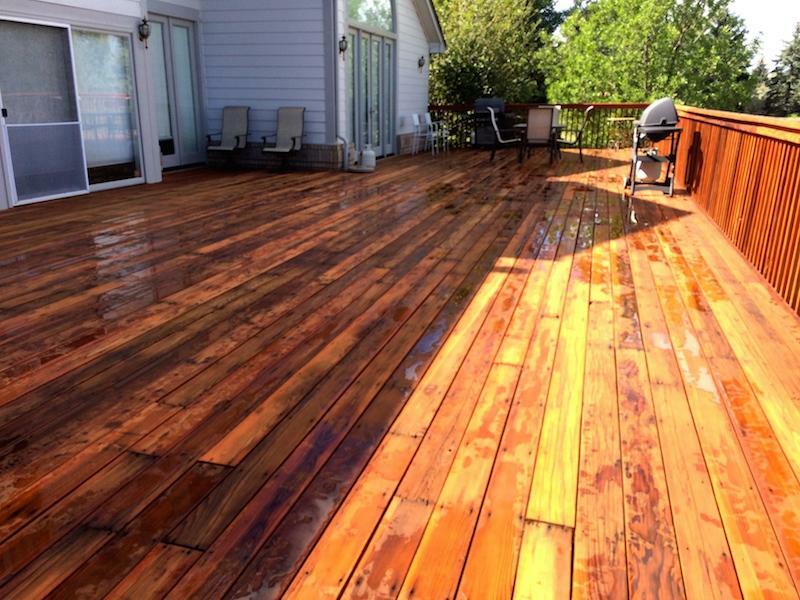 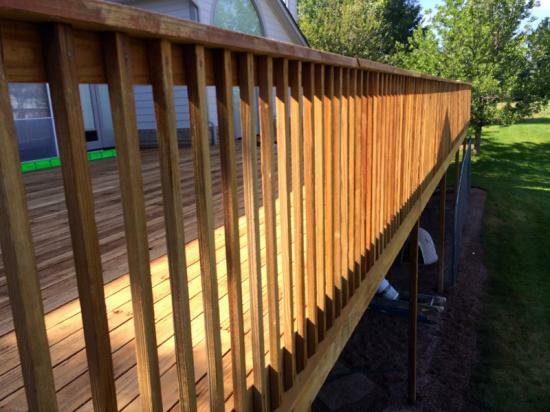 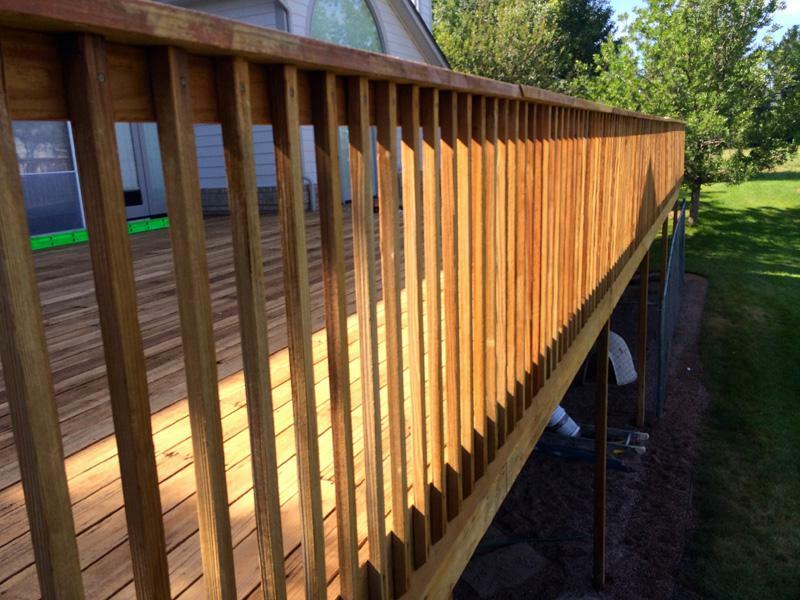 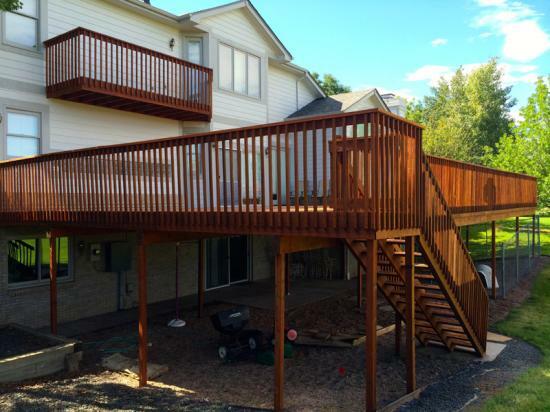 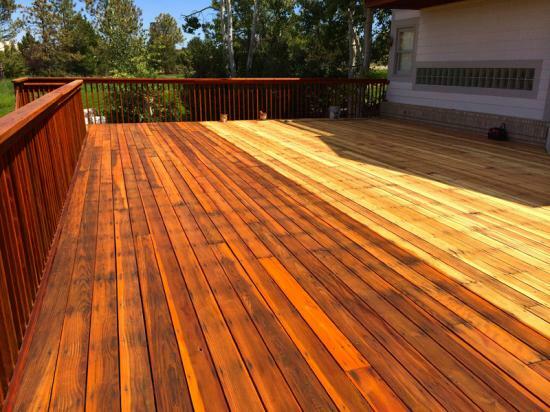 LIME then used a deck restore product designed to restore the natural vibrancy of the redwood tones. In addition, we removed all deck screws and counter sunk a new set of deck screws to ensure the deck’s integrity. 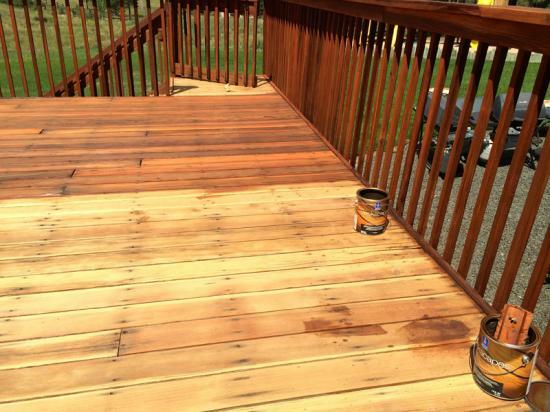 Finally, we used an oil-based (most water repellant) stain to seal the deck from water penetration and sun breakdown. 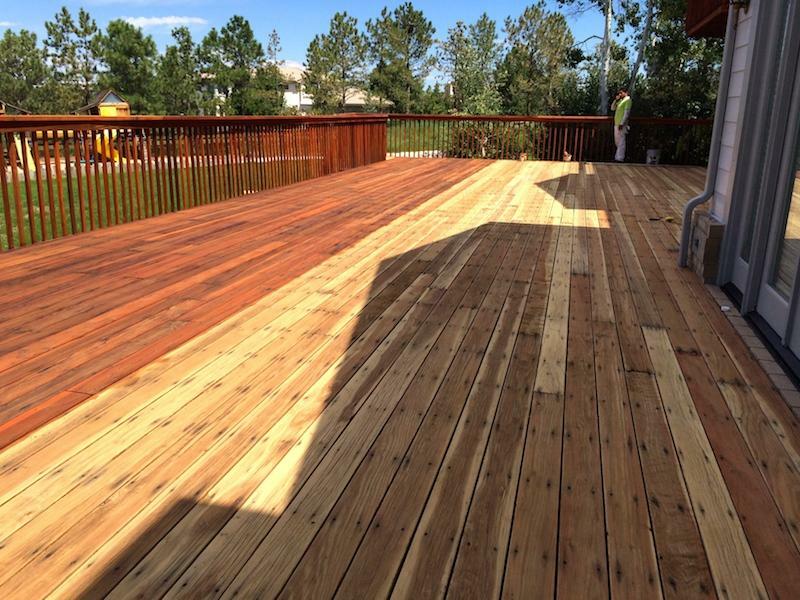 Greenwood Village is one of LIME’s finest regions to work and is home to many of our satisfied clients.